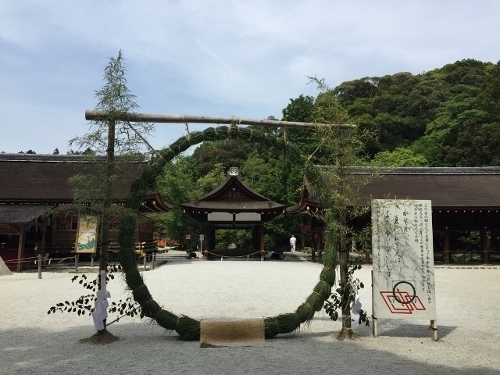 I found “CHINOWA (=a large ring made of dried grass)” was set in the garden of Kamigamo shrine today. They have “CHINOWA KUGURI” in June every year to purify the impurities of the first half year and praying for the health and safety for another half year. When I see “CHINOWA”, it always reminds me that summer is just around the corner. Please try “CHINOWA KUGURI” and think of the long history of this event.